Does anyone know/can anyone say if any other Atlas or Delta hardware arrived with this delivery? There was other hardware on trailers onboard DM but photos available from ULA and NASA KSC didn't show any additional stages. Sounds like the launch window for this Dragon is from about March 2 to to March 10, after which there's a crew Soyuz flight, three EVAs, and then two cargo supply ships in April. This means that (probably?) Boeing's earliest opportunity for its Starliner demo mission won't be until May. Not sure if this is official yet, but multiple sources say the NET date for Starliner's OFT (uncrewed test flight) is now August. Boeing Co has delayed by at least three months its first uncrewed flight to the International Space Station under NASA’s human spaceflight program, and pushed its crewed flight until November, industry sources said on Wednesday. Maybe we should do a poll of which week the inaugural Atlas V N22 will fly. The latest date for the first test of the Starliner capsule was to be in April, which was already pushed back repeatedly. Now that first flight a test mission without any astronauts on board is going to be delayed to at least August, according to two officials with knowledge of the situation. That, in turn, would push the first flight with humans on board to no earlier than November, but some said the company may be forced to push the flight into 2020 if they discover more problems with the spacecraft. The Government Accountability Office also found an issue with the abort system that could possibly cause it to "tumble, which could pose a threat to the crews' safety." Boeing has said it is on its way to having the problem fixed. 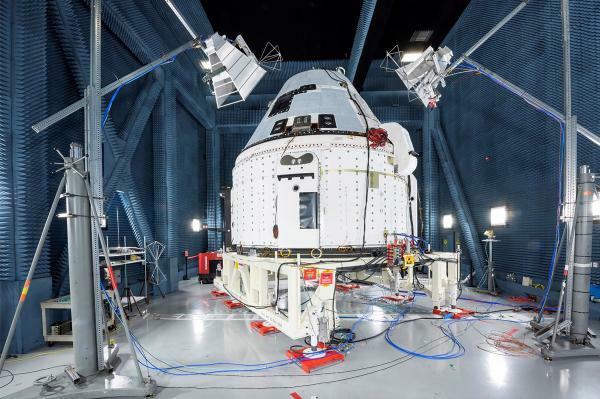 Or maybe the first crewed Dragon will fly before Starliner. From what I hear, the chances of Starliner's CFT happening in November are about as slim as Boeing's OFT "April/May" targets from a few weeks ago. Concur. Big news in L2 and it ain't all good. “In order to avoid unnecessary schedule pressure, not interfere with a critical national security payload, and allow appropriate schedule margin to ensure the Boeing, United Launch Alliance and NASA teams are able to perform a successful first launch of Starliner, we made the most responsible decision available to us and will be ready for the next launch pad availability in August, while still allowing for a Crew Flight Test later this year," the statement from Boeing said. Boeing is now targeting August for its uncrewed Orbital Flight Test, although this date is a working date and to be confirmed. Our article on why ULA and the Atlas V are absolutely not to blame for this delay. Great article coalesces a lot of discussions I was seeing with regards to the announced delay. Bunch of new photos from Q1 2019. Caption order matches attachment order. 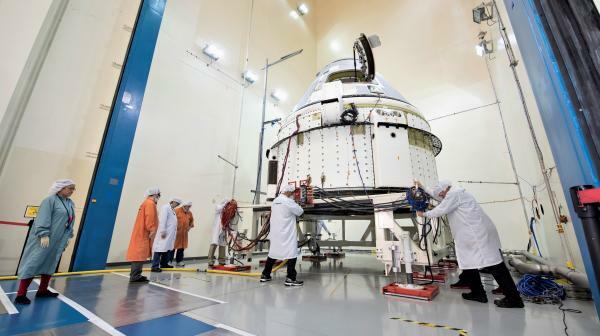 Boeing’s CST-100 Starliner prepares for acoustic testing at Boeing’s spacecraft test facilities in El Segundo, California. This vehicle, known as Spacecraft 2, will fly Starliner’s Crew Flight Test (CFT) after it returns to Florida from environmental testing. The Starliner underwent rounds of acoustics vibration, thermal vacuum and electromagnetic interference and electromagnetic contamination testing. These tests prove Starliner’s design is capable of handling the harsh environments of launch, ascent and orbit and also prove that the electronics systems will operate in space and not interfere with other satellites or the International Space Station. CFT is Boeing’s crewed flight test of Starliner and part of NASA’s Commercial Crew Program, which will return human spaceflight launches into low-Earth orbit from U.S. soil. Boeing’s CST-100 Starliner prepares for electromagnetic interference and electromagnetic contamination (EMI/EMC) testing in a specialized test chamber at Boeing’s Space Environment Test Facilities in El Segundo, Calif. These tests were the final part of Starliner’s environmental qualification test campaign. EMI/EMC testing ensures that Starliner’s systems will function properly in the orbital radiation environment and also not interfere with other electrical systems on the International Space Station. 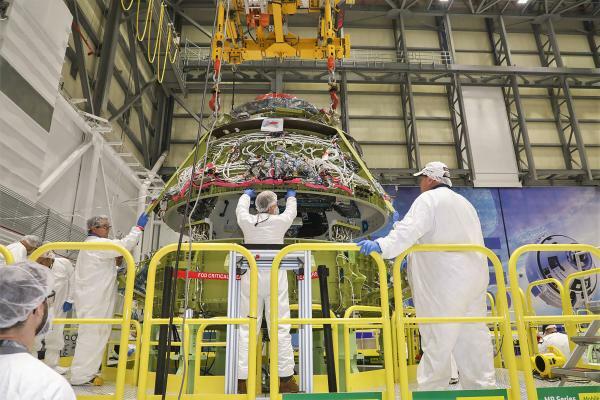 Once back in Boeing’s Starliner facilities at the Kennedy Space Center in Florida, this same vehicle will be prepared to fly Starliner’s first crew during the Crew Flight Test mission later this year. NASA’s Commercial Crew Program is working with Boeing to return human spaceflight launches to the space station from U.S. soil. Boeing technicians meticulously lower its CST-100 Starliner’s upper dome to the lower dome before bolting and sealing the pressure vessel on March 11. This is the Starliner spacecraft slated to fly in the company’s Orbital Flight Test (OFT). The mate was completed at Boeing’s Commercial Crew and Cargo Processing Facility at NASA’s Kennedy Space Center in Florida. Starliner uses an innovative weldless design where the main structure is made of two domes, each spin-formed and machined from a solid piece of aerospace-grade aluminum. The two domes then undergo outfitting with avionics, cooling systems, wire harnesses, fuel and life support lines, and other critical systems before being mated together. This is one of the last major milestones ahead of final processing and closeouts for flight. 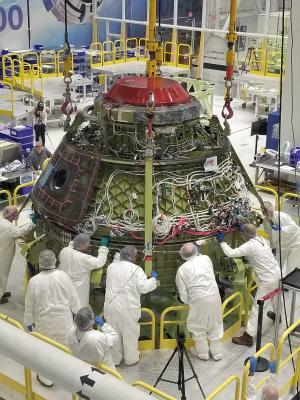 OFT is Boeing’s uncrewed flight test of Starliner and part of NASA’s Commercial Crew Program, which will return human spaceflight launches into low-Earth orbit from U.S. soil. Technicians at Boeing’s Commercial Crew and Cargo Processing Facility (C3PF) at NASA’s Kennedy Space Center in Florida mate the two domes that comprise the main pressure vessel of Boeing’s Orbital Flight Test CST-100 Starliner. 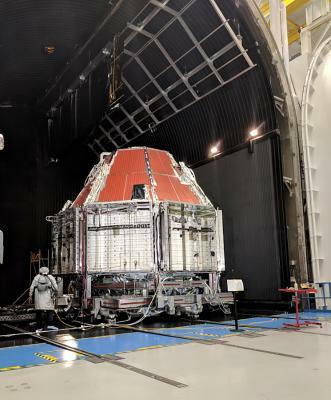 This is one of the last major assembly milestones before final outfitting and closeouts as Starliner prepares for its first mission, the uncrewed test flight later this summer. Boeing’s uncrewed Orbital Flight Test is part of NASA’s Commercial Crew Program, which is working with Boeing to return human spaceflight launches to the space station from U.S. soil. Boeing’s Crew Flight Test Starliner prepares for thermal vacuum testing at Boeing’s Space Environment Test Facility in El Segundo, Calif. During this test series, test teams outfitted Starliner with hot plates and radiators and placed in a vacuum chamber that could also be filled with a cryogenic nitrogen shroud. This allowed Boeing teams to simulate the vacuum environment in space as well as the drastic temperature swings Starliner will see as it moves to and from direct sunlight and the Earth’s shadow. This is the Starliner that will be used for Boeing’s Crew Flight Test as part of NASA’s Commercial Crew Program, which is working with Boeing to return human spaceflight launches to the space station from U.S. soil.